In the year 1953 the presence of coded Huna information in the Bible was discovered. Since that time the research work has progressed, with a number of additional pieces of coded information uncovered. This book gives not only the later findings, but further expands the study to show similar coded information in the religions of the ancient Egyptians, Israelites, Buddhists and practitioners of Yoga. 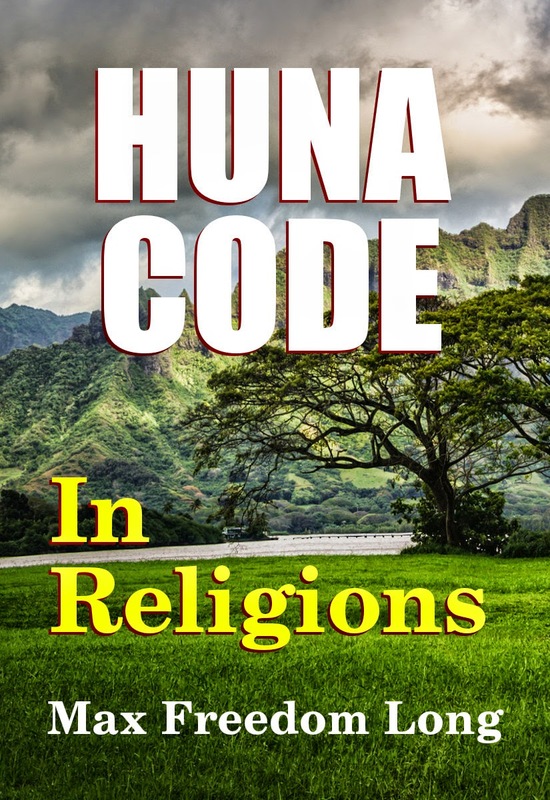 While some of the other languages used in Polynesia offer additional light on the multiple-meanings of words employed in the Huna code, the Hawaiian dialect has been found nearest to the form of the Code Language as used in inserting die secret meanings into parts of the Bible as well as into some of the contemporary Gnostic literature. The complete investigation of the Bible and Gnostic literature has not yet been finished, and the reader who wishes to do so may carry on for himself without much difficulty, once this book has been read and the research method is understood. Yesterday the unveiling of the coded knowledge would have been countered by the Church with burnings and any torture needed for the suppression of heresy. Today, happily, even the humblest Galileo is able safely to take up his telescope and peer into the realms of the new and strange.... . and still forbidden.